Dr. Hilary Landorf is the founding Executive Director of the Office of Global Learning Initiatives at Florida International University. This Office oversees FIU’s university-wide initiative, Global Learning for Global Citizenship, winner of the Institute of International Education’s 2016 Heiskell Award for Internationalizing the Campus. She is an Associate Professor in the School of Education and Human Development, and leader of FIU’s Master of Science degree program in International and Intercultural Education. 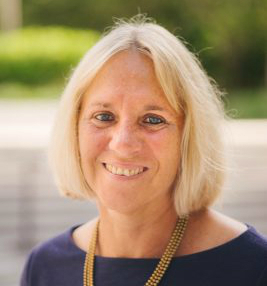 Since 2016 she has served as the Executive Director of the Comparative and International Education Society, the oldest and largest of 47 such associations in the world, with the mission of fostering cross-cultural understanding and scholarship. Landorf’s expertise centers on visioning, developing, designing, and implementing the policies and practices of global learning efforts in higher education. She has written, consulted, and presented internationally on integrating global learning into higher education. Her recent publications include “The Origins and Meaning of Global Learning,” in the Internationalisation of Higher Education Handbook; “Global Perspectives on Global Citizenship” in Contesting and Constructing International Perspectives in Global Education; and “Education for Sustainable Human Development: Towards a Definition” in Theory and Research in Education. Her most recent book is, "Making Global Learning Universal: Promoting Inclusion and Success for All Students," co-published in 2018 by Stylus Press and NAFSA: International Educators.